PeeBuddy India's First Portable, Disposable Female Urination Device for Women - Recommended by Best of Doctors. 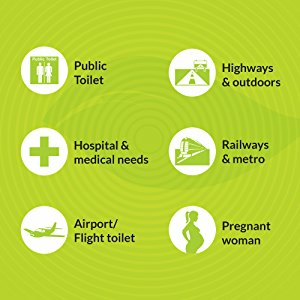 Public and Common Toilets are never Clean, With PeeBuddy, Women can Stand and Pee in all such Toilets at Highways, Trains, Treks, Marathons, Road Trips etc. Also recommended for use during Pregnancy, Spinal Injuries and Arthritis etc. Now Stand and Pee in all Common Toilets and Stay away from Infections, UTI etc. 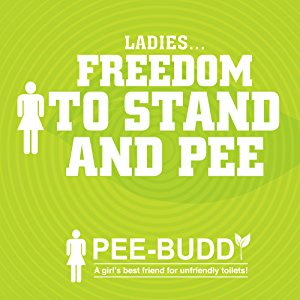 PeeBuddy is a Revolutionary Product for Women who hate dirty toilets when travelling (Fights/Train/Highways) for work/leisure or those with medical condition (Joint pains / Pregnancy etc). Avoid all UTIs/Infections/Yucky Experiences at Dirty Toilets. Ideal For:Women who hate dirty toilets when travelling (Fights/Train/Highways) for work or leisure (Treks, Marathons, Road Trips, Events) or those with medical conditions (Joint pains / Pregnancy etc). No More SquatsNow Use PeeBuddy & Stay away from Infections, UTI, yucky experiences at dirty/public toilets. No more Wiping of Seat, no more squats, no more holding it in. 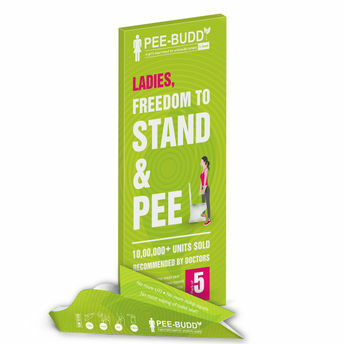 Stand & PeeFemale urination device that allows you to urinate while standing up. It's neat. It's discreet. It's hygienic. It's a must for travel and sports. And it's great for everyday - no more crouching over or trying to cover up an unsanitary public toilet. Easy to carry funnels -Fits easily in your purse, pocket, or glove compartment.